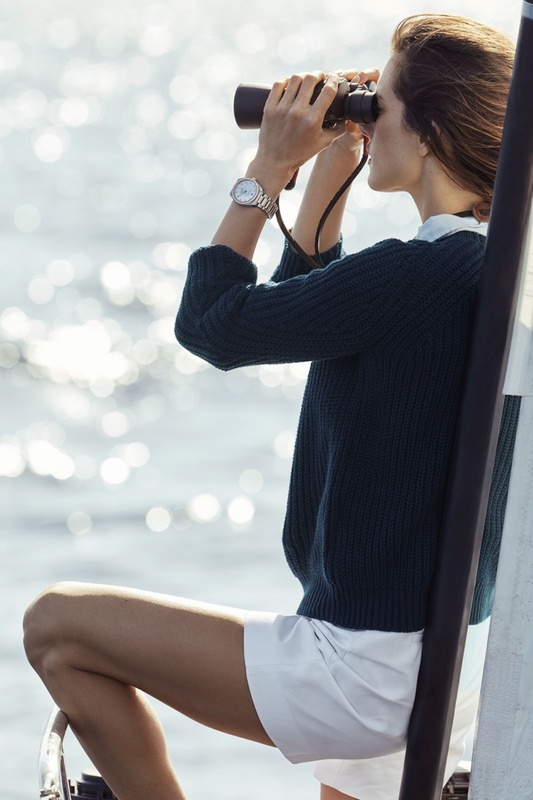 Taking to the high seas, luxury label Omega brings forth its new collection titled 'Aqua Terra', and enlists supermodel Alessandra Ambrosio for the campaign. The Brazilian model is an image of chic sophistication as wears nautical ensembles aboard a yacht and models the Omega Aqua Terra Collection. Alessandra, who is also a Victoria's Secret Angel is a breath of fresh air, and looks stunning as she puts her endless legs on show in white shorts and a knit sweater. With pieces from Omega on display on her slender wrists, Alessandra is a charm and a true ocean glam girl for the campaign.